At the start of the year you could pretty much pick any month and say that's when the iPhone 6 was coming out. Obviously, a lot of rumoured launch dates have been massively wrong. Trying to pin down a date is very hard, but there are some pointers that give us more likely dates. First, if Apple follows its usual release schedule, it means it releases one generation of phone and the following year, uses the same case and design, but updates the hardware. If Apple sticks to that, it would mean that the iPhone 5S would follow the iPhone 5. So, first we need to work out when the iPhone 5S would launch. Most of the information we have would point to an autumn launch. Here's why. First, Tim Cook hinted at an autumn launch in a call with investors. "Our teams are hard at work on some amazing new hardware, software, and services that we can’t wait to introduce this fall and throughout 2014," Cook said. Next, we know that iOS 7 is due for release in autumn, so we'd expect it to come out with the iPhone 5S, iPad 5 and iPad Mini 2. Finally, Apple's CFO, Peter Oppenheimer said that Apple would have a "very busy fall" in a more recent earnings call, but said that he would give "more detail in October". One of the latest rumours, reported by AllThingsD, is that the next iPhone will be announced at a special event on September 10th. Obviously, Apple hasn't said anything about this rumour, so we're going to have to wait a bit longer to find out if it's true. Typically, Apple products are released around two weeks after the launch event, so we could expect to see the next iPhone around the end of September or very early October. 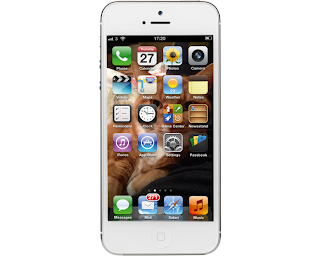 The best guess is that this will be the iPhone 5S, while we'll get the iPhone 6 in 2014. Apple typically waits for a year before launching a new product, but many think that we won't have to wait that long after the iPhone 5S for the iPhone 6. It's rumoured that the iPhone 6 will have a larger display, so Apple could quite happily continue to sell both phones. In many ways this would be similar to the Samsung strategy of having the large Galaxy S4 and the Samsung Galaxy S4 Mini. Apple has been known for its high quality screens and it's going to be interesting to see what it can do with the iPhone 6, particularly as it looks like the iPhone 5S will have the same screen size and resolution as the iPhone 5. Big-screen phones are the thing of the moment, with Samsung, Sony and HTC all opting for large, Full HD screens. Now, Apple's not one to necessarily follow what everyone else is doing, but given the demand for such phones, we wouldn't be surprised to see that the iPhone 6 has a larger display. Of course, the screen would need to be Retina, which means that you can't see the individual pixels when used at a normal viewing distance. Currently doing the rounds are the rumours that the iPhone 6 will have a 4.8in screen, which would make the phone similar in size to the Samsung Galaxy S4 and the HTC One. At this screen size, Apple could then move to a Full HD (1,920x1,080) resolution or even go beyond. 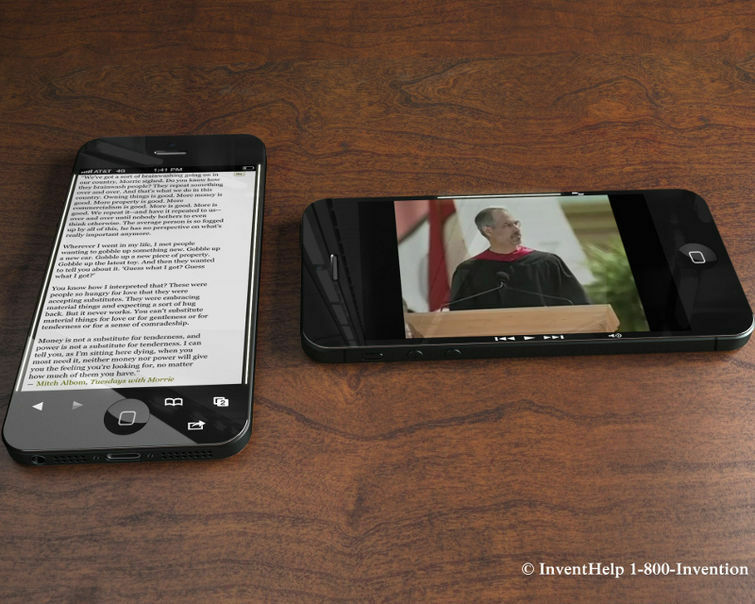 While Apple has not previously made a large-screen phone, upping the screen size for the iPhone 6 makes a lot of sense. It means it can compete with the large-screen phones from other manufacturers and keep the iPhone 5S as a smaller alternative, giving iPhone users more choice. Tim Cook has made a statement that would appear, on a first glance, to deny a large-screen Apple iPhone 6. In an Apple earnings call, Cook said, "My view continues to be that the iPhone 5 has the absolute best display in the industry, and we always strive to create the very best display for our customers. "Some customers value large screen size, others value other factors such as resolution, colour quality, white balance, brightness, reflectivity, screen longevity, power consumption, portability, compatibility with apps and many things. Our competitors had made some significant trade-offs in many of these areas in order to ship a larger display. We would not ship a larger display iPhone while these trade-offs exist." What that statement says, to us, is that Apple won't ship a large-screen iPhone until it's managed to iron out all of the trade-offs. A thinner screen, to make a lighter phone, could well be the right way to go, then. It's no wonder, then, that Apple may also be considering the screen technology that it uses, with a Sharp IGZO (Indium Gallium Zinc Oxide) screen top of the list. This new technology allows for screens that use less power and are considerably thinner. Rumours certainly picked up when the Sharp IGZO technology was demonstrated at CES 2013. Sharp has also started manufacturing a super-sensitive touchscreen, which you can write on with a pencil and even operate with gloves on. Given Apple's relationship with Sharp, rumours have linked the new technology to the iPhone 6. The new screen technology has eight times the sensitivity of existing models, is scratch resistant and is also thinner than existing screens. In other words, it would be hard to see why Apple wouldn't want this technology. A bigger screen requires more power, so any technology that can increase battery life has to be good. For the iPhone 6 Apple could be about to revisit gaze detection technology, where the phone can tell if you're looking at the screen or not. If you were to look away, the phone could pause a video playing and turn the screen off. PatentlyApple has dug up the full information on how the technology is likely to work. Given that Samsung has similar technology in its Galaxy S4 smartphone, we'd say there's a high chance that Apple will follow suit and implement its own version. Although incredibly innovative and easy to use when it was first launch, iOS is now looking a bit dated. Each update to iOS has really felt like a tweak, leaving the same user interface alone. Some would argue that iOS6 , which was introduced with the iPhone 5, was actually a step backwards with Apple Maps proving to be far worse than the Google Maps app it replaced. Well, we now know exactly what we're getting with iOS 7, which was unveiled at the Apple World Wide Developers Conference (WWDC) in June). Designed by Jony Ive, the system is a big departure from the current version. For starters, the interface and icons have all been completely redesigned with a 'flatter' appearance. It's certainly more modern looking. On top of that, there are a raft of new features, including Control Center, which lets you access common settings from a swipe-up menu; a Today view in the Notification Center pull-down menu; AirDrop, which lets you transfer files via Wi-Fi to other users; a new Camera app, with new filters; and lots more. 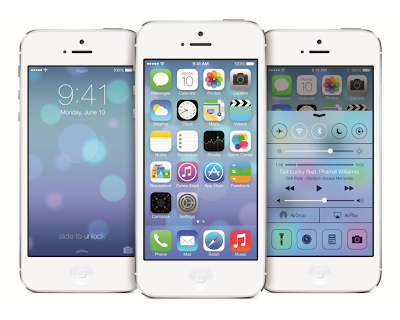 Apple has said that iOS 7 will be released in autumn, which should nicely coincide with the launch of the iPhone 5S. With the iPhone 6, though, we're likely to get a tweaked version of the OS that introduces some new features. 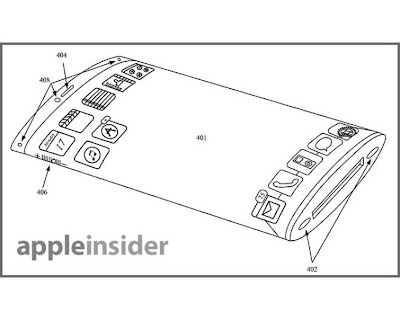 For example, if the rumoured NFC chip makes it to the iPhone 6, we may see a new Apple payments app. One of the most important part of any smartphone is the camera, with people generally preferring their phone over a compact camera. With the competition putting a lot of effort into the quality of their cameras, Apple has slightly fallen behind, with the iPhone 5's quality not matching that of the Samsung Galaxy S4 or HTC One. Recent rumours, reported by MacRumours have stated that the iPhone 5S will get a 12-megapixel sensor, up from the 8-megapixel version on the iPhone 5. It stands to reason that the iPhone 6 will get the same, or better, sensor. Upping the sensor resolution can introduce problems with noise, though, as there's less light per pixel. Apple will be keen to counteract problems like this, so a lens with a faster aperture would make sense. Currently the iPhone 5 has an f2.4 lens, but an f2.2 or f2.0 lens would mean better low-light photography. In terms of storage, 64GB has been the top model for a couple of years, so we'd expect the top model to now be 128GB. We know that Apple now has that capacity, thanks to the recent launch of a 128GB iPad 4. The new model doubled the maximum capacity of the previous high-end iPad (64GB). This update was said to be about increasing the variety of uses for the tablet, with Apple stating that more storage was good for large files for use in applications such as CAD and music production. It's also a more useful amount of storage for photos and videos. The update to the iPad 4 was a completely new model with a new price, so we'd expect the same range of capacities and prices to be available from the iPad 5: 16GB, 32GB, 64GB and 128GB. With Apple now using 128GB storage in its tablets, the question is whether or not it will provide the same range of capacities in its iPhone and iPad Mini range, too. Given that the capacity is now available to Apple and that the smartphone market is even more competitive, we'd say that a 128GB version of the new phone is more than likely. One of the omissions from the iPhone 5 was NFC, but with the technology starting to appear in most new Android phones, we'd expect this in the in iPhone 6. With Apple pushing its Passbook App, for storing store cards, tickets and coupons, integrating this with NFC would make a lot of sense. With Apple also rumoured to be including a fingerprint sensor to secure transactions, it would make sense for the company to also launch a payments app, so that you can pay for items with your smartphone. Contactless card readers are becoming more and more popular in the UK, so the technology for receiving these payments is already there. Apple did have a slight dig at NFC when it launched iOS 7's AirDrop feature, saying that its technology was easier than bumping phones together. However, that may be the case for transferring files, but for secure payments NFC is a must. Most likely, Apple's dig is because NFC is a technology that it currently doesn't have. The current speculation is that booth NFC and a fingerprint sensor will be integrated into the home button, and will be known as TouchID when Apple introduces the new phone. Judging what Apple will do with the processor is harder, but we'd expect an updated model in the iPhone 6. Currently the iPhone 5 has a dual-core Apple A6 processor, but a quad-core Apple A7, using ARM Cortex A15-based cores, sounds plausible to us. It also seems more than likely that Apple will use ARM's big.LITTLE architecture. This allows a processor to have low-power cores that save on battery life, when not much CPU power is required, switching to full-power cores when more intensive tasks are required. Apple's always been hot on battery life, so this move would make sense, particularly as it's something that ARM's really pushing at the moment. 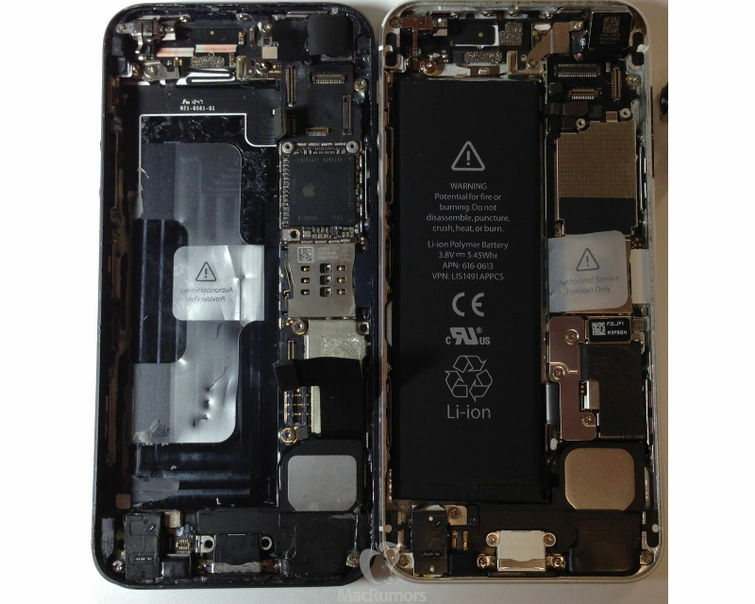 Alleged shots of the iPhone 5S have shown the internals of the phone, including an unknown processor. Obviously, you can't tell specs from a shot of a chip, but a new processor could well mean an A7 chip, which will be used in the iPhone 5S first, before making an appearance in the iPhone 6. This alleged shot of the inside of an iPhone 5S shows an unknown processor - could it be the Apple A7? Apple typically releases its new models at the same price as the old ones. If that holds out, then, and assuming that the 16GB model is dropped, we'd expect the 32GB model to cost £529, the 64GB model £599 and the 128GB model £699. However, if the company continues to sell the iPhone 5S, we could be in for some new pricing, with the iPhone 6 a premium model that sits above it.